A gold-hearted alien monster has come to visit us, and he seeks to spread the message that chickens are incredible creatures who deserve to be treated better than their human co-Earthlings are treating them. We can get behind that idea! Dave is incredulous that on Earth, chickens are eaten. Although there is a silly, playful tone as he delineates the many reasons that chickens are too neat to eat, the underlying message is very thought-provoking (yet appropriate) for kids. For those not currently eating meat, this little gem will buttress that decision. For kids thinking about a veg lifestyle, the perspective of an alien monster is a great vehicle for reframing the way that children are socially instructed about chickens. 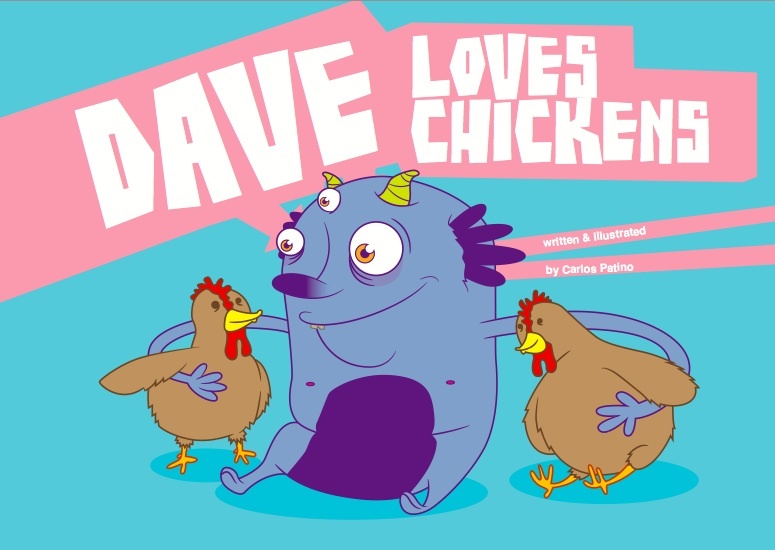 With bold graphics, bright colors and a positive message about caring for all life on our planet, Dave Loves Chickens is a great find. 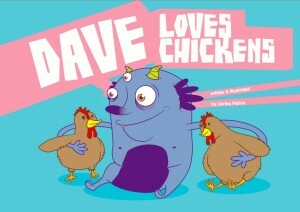 Featuring a lovable alien monster and clever rhymes about chickens, this book will resonate with young veggie and veggie-curious kids and their adults, whether or not they are gold-hearted chicken aficionados (though we think by the end of this story, they will be). The publisher, Vegan Publishers (yes, that’s their name!) provided a copy of this book for review. Order directly through their site here.